This project really allowed our architects to shine, as their design expertise were put to play. This resulted in a stylish and unique rear extension, that really stands out from the crowd. 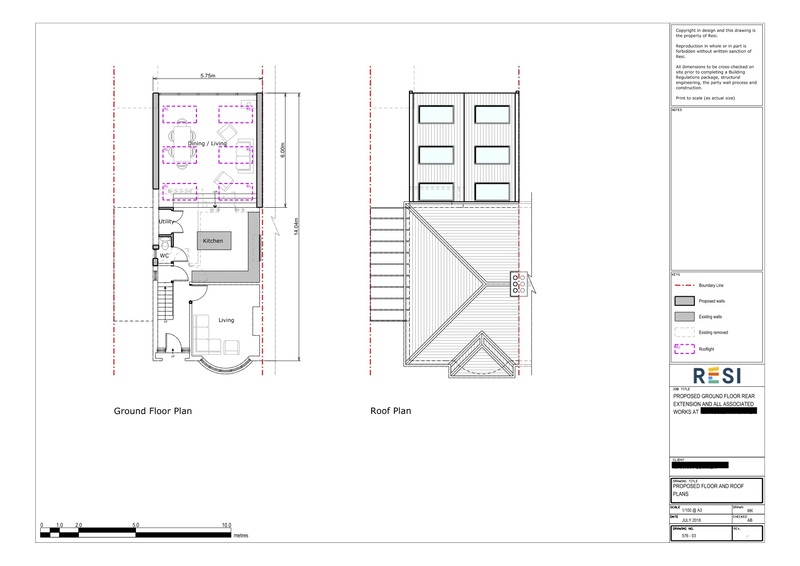 This project was carried out under a Lawful Development Certificate (meaning the homeowner was operating under their permitted development rights), which was granted on 24th August 2018. 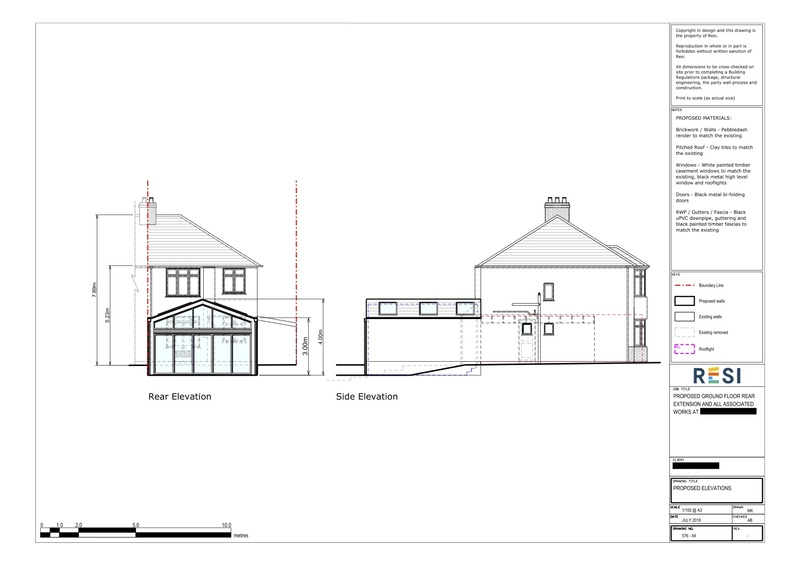 Our client was looking to undergo a ground floor rear extension on their semi-detached home in Chelmsford. The aim of this project was to create space for an enlarged and open plan kitchen dining, and living area. Their ‘must have’ details were the inclusion of a downstairs WC, utility room (or cupboard), a log burner, and roof lights. Their preferred style was modern, light, experimental, and quirky.